But Halloween doesn’t have to be limited to the one night. If Christmas can take up 10 months out of the year, why can’t Halloween have two? The reason is obvious. Still, for me the Halloween season begins with the first orange leaf falling to the ground. That’s when I bring out these Must Watch Halloween television specials, without any of which, it could never be Halloween. Sadly some of these have been forgotten. Those seem to only exist on youtube. The tradition of airing original content specifically for Halloween went out of fashion twenty years ago. An occasional TV movie will pop up now and again. Nothing will ever match Halloween output of the ’70s or ’80s however. Oh how I long for a day when the world decides to love this holiday again. By no means is this an all encompassing list. I simply wanted to share a few of my absolute favorites. If you have some of your own please share them. 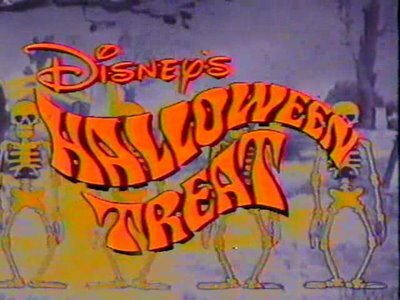 Disney OWNED Halloween during the ’80s. Either they re-aired classic specials around the clock, or produced many of their own. Their Halloween treat sort of bridges both gaps by assembling clips from their own fault of material that they can somehow link with Halloween. A few different versions of this special exist, this one in question being the third of them. The only real difference between them is the host. Originally it was a pumpkin head in a crystal ball, second it would be the mirror from Snow White, this one is just be a disembodied voice. 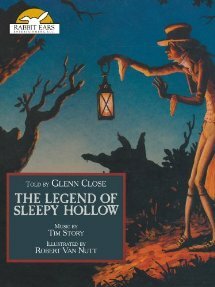 Whether intended or not, The Legend of Sleepy Hollow is a story somewhat synonymous with Halloween. The Headless horseman alone has become a symbol. 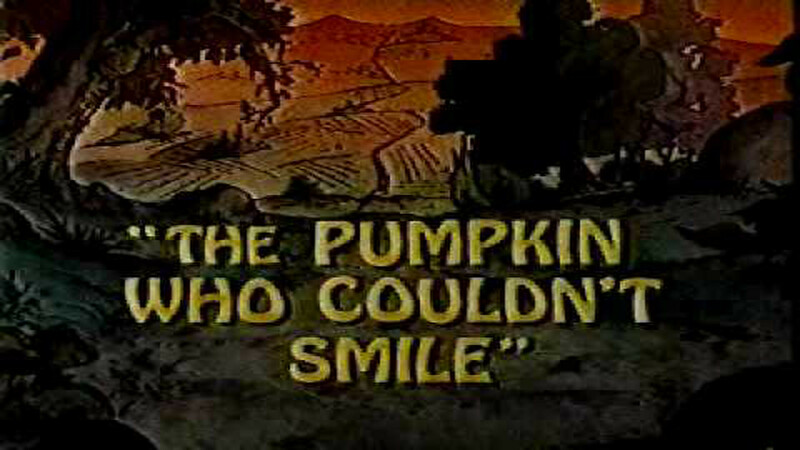 Which makes it difficult to discern if this particular adaptation of the story is an actual Halloween Special. I know that I watched it on PBS when I was very young, it was around Halloween, I was properly creeped me out, and it captures the ominous atmosphere of the holiday perfectly. Revisiting it remains a treat due to Glenn Close’s masterful narration and the wonderful still frame animation. Here’s one I didn’t watch as a kid. Surprising given that I was raised on Nickelodeon. My girlfriend actually introduced it to me a few years back. It had everything I would have loved as a kid – a spooky house, cameo by John Astin, secret passages, and magic, lots and lots of magic. I think most little kids go through a “I want to be a magician” phase, and I was no different. Despite not seeing at the age I was meant to I was thoroughly entertained. 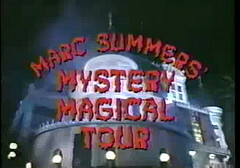 Besides, seeing Marc Summers, covered in slime or not, is always cool. If you had the Disney channel as a kid that’s what you watched around October 31st. 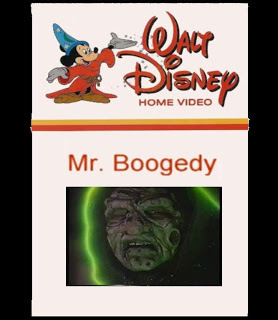 Probably their best original production is Mr. Boogedy from 1986. 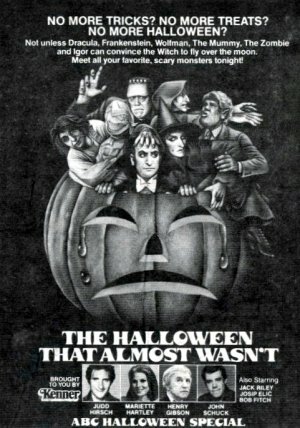 Filled with awesomely bad puns, more John Astin, a unique ghost, cool family, and a healthy dose of light spookiness, this is a better than most TV movie that even spawned a sequel. Hurry up with the DVD Disney! The third revival of the Mickey Mouse Club took on the hip moniker MMC. Producers certainly had an eye for talent. Most people remember this generation of mouseketeers because of the teen stars it bred in JC Chasez, Justin Timberlake, Britney Spears, Christina Aguilera, Ryan Gosling, and Keri Russell. What goes largely ignored is how clever the writing could be. This is obvious in the Halloween special (which actually aired before most of the super famous heartthrobs joined the cast) with sketches like Solid Ghoul, a commercial for vampires with dentures called FANG-O-GRIP, and a monster under the bed disgruntled over a kid’s messy room. For one night out of the year Casper the friendly ghost is able to walk amongst the living without getting any weird looks or scaring anyone. Since it’s Halloween people will think his ghostly appearance is only a costume. Things don’t quite work that way, but he does end up saving the holiday for a group of poor orphans. Many Halloween specials still survive on nostalgia, it’s our fond memories that make them so great. Casper Saves Halloween (or one of it’s zillion other titles) is probably the best example of this. If you didn’t watch it growing up you probably won’t be able stomach it’s sweetness today. 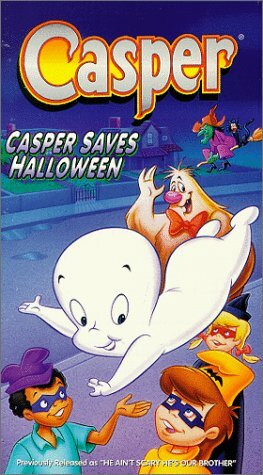 Apparently it can be found under various titles jammed in with other Casper cartoons on compilation DVDs, but I haven’t come across it yet. A sad kid living with a mean and boring aunt who hates Halloween. A Jack-O-Lantern sitting alone in a pumpkin patch, crying seeds and lamenting about his pathetic life. Two rag dolls, one named Ann and one named Andy, who want nothing more than to make that little boy smile. How do they do that? Get him a pumpkin carved with a permanent frown! It’s no spoiler to tell you that. It would be a spoiler however to give away any of the surprisingly sharp and witty dialogue in this endearing classic of the Halloween Special genre. Based on a true story…maybe. 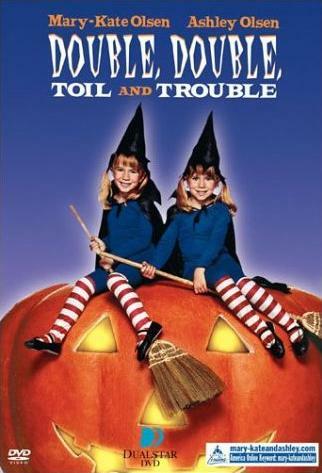 Hate on the Olsen twins all you want, I love this movie. Not loved – LOVE. I’m telling you it’s funny, it’s creative, it’s never boring. This is another one of those that just captures the entire atmosphere of Halloween. There’s a strong dark side to it, but the creepiness stays light and fun, the way we all (hopefully) remembered Halloween. I honestly feel this one can be enjoyed if you lighten up and watch it for what it is. 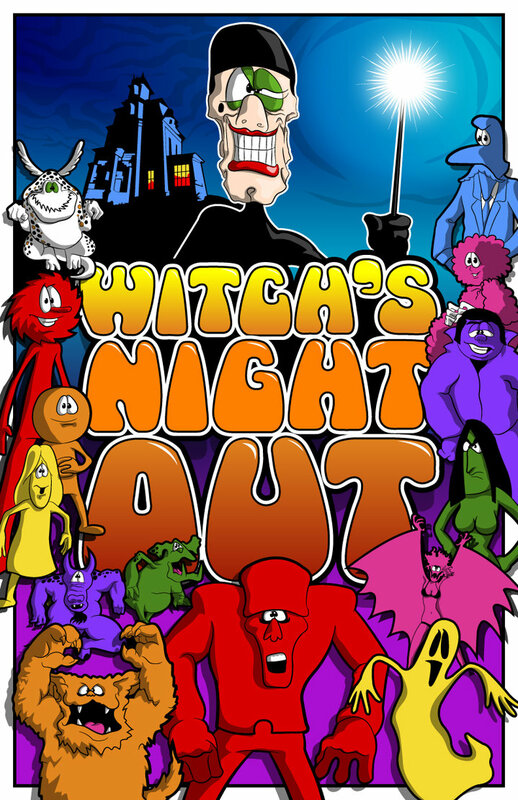 No other special has given Halloween Special Hunters more grief than Witch’s Night Out. So rare is it that I thought I’d dreamed it. For whatever reason this inventive, funny, utterly unique, and just plain awesome 30 minute movie looks and feels like Halloween. Sadly it vanished in the mid-90s. Perfectly self-contained, cohesive, and stylized this is a truly one of a kind gem. Look past the bizarre animation and try to get the ending song out of your head. It never lasts on youtube long, so watch it now! Before there was Harry, there was Mildred. Any child of the ‘80s remembers how not easy growing up was for young Mildred Hubble while attending Miss Cackle’s International Academy For Witches. Tim Curry’s magical green screen musical number alone was enough to firmly plant it in our adolescent craniums as a fond, if extraordinarily camp, classic. Like my previous choices, this has Halloween written all over it. This special is hilarious to this day. Be it the original take on the characters, the excellent use of slapstick, or pefect one liners, it holds up. They also take a little time to bring up the origins of the holiday – a big plus to a Halloween Nerd like me. Jud Hirsch plays a perfectly hapless and selfish Dracula, the leader of a motley crew of monsters (including a tap dancing Frankenstein’s Monster), who has to try and convince the witch to get over her inferiority complex and take her flight across the moon so Halloween can officially happen. The special has been released under the alternate title “The Night Dracula Saved Halloween”, which is a bit of a misnomer. Try as he might, and he does again and again, Dracula never achieves his goal. Two kids accomplish what he can’t. My original copy has been lost for a while now. The only DVD version I found costs 200 bones. Luckily youtube exists. Not year goes by that without watching it at least once.